My kids are leaving the nest . 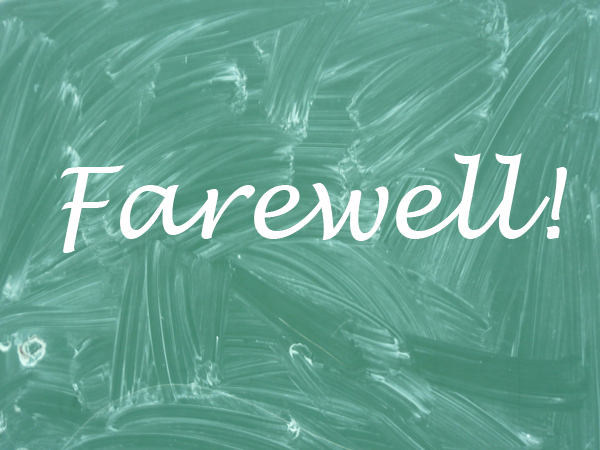 . .
Our education blogger gets ready to say a sad farewell to her Grade 7 learners who are moving from their comfort zones to the bottom of the pecking order at high school. As the December holiday looms seductively on the horizon, schools are in a frenzy with assessments, examinations, marking, validations, dealing with last-minute applications for next year, Prize-giving ceremonies, proms . . .
As a Grade 7 teacher, the last term of the year is always a challenge. Not only because of end-of-year examinations, but because my children are leaving the nest and they have just realised it! Each day is a whirlwind of tears, angry outbursts, nervous giggles, an overflow of hormones, assessment anxieties and fear. Fear of the unknown to be specific. For many of my kids, they have spent the past seven, some of them eight (Grade R included) in the same environment where they have fallen comfortably into the routine of the expected. At the start of the year, they were filled with the excitement of finally having the end in sight as well as the hubris of being the seniors at school. For the past month, I have noticed a change in attitude as many of them visited their high schools for orientation and to meet teachers and peer-mentors. With this, the reality slowly started setting in that they were leaving their comfort zone and friend and teachers who had seen them grow from Grade R up to this point. Nerves and worries of the first-day jitters set in: who will I know, which teachers are strict… it will be Grade 1 all over again. Imagine the first time you stared at a new job. Well, now here’s the fear of the unknown and a teenager still finding themselves: not a great combination! Last week I gave my kids a yearbook for friends and teachers to write farewell messages in. With the cheers and thanks, a sudden pause occurred and the jubilation died. There I sat with 31 kids all at a loss for words as the reality sunk in as to why they would be writing and receiving those messages. And for a moment – just a moment, mind you! – I saw them as the sweet kids they really are behind that steely, teenage demeanour, and I was humbled. Humbled, that I had learnt from them even more than I could teach them. Each one of them had an impact on my life. Some negatively yes, but most positively and I smiled . . . Each year I have kids come and go and each year, they seem to creep into my heart. Then I started stressing! Have I done all that I could do to prepare them for the world? Have I done more harm than good? Are they going to survive? Who’s going to make sure that they eat breakfast in the morning? I am pretty sure that this is what a parent feels like on a daily basis! I then assured myself that they didn’t need me to worry about these things. I taught them what I needed to and then some. And more importantly, I tried to impart as much “real-life” into our daily work. As teachers and parents, I am certain that we want what is best for our children. Typically it would seem like the opposite to them but more often than not, they do listen and heed what we trying to share. So, as that holiday looms on the horizon, I am going to enjoy having my kids for the short time I still have them as I try to keep us all sane through the last few weeks!